The ASICS Menace Men’s Football Boot delivers the ultimate blend of performance and comfort to allow you to push harder for longer. It features a streamlined synthetic leather upper for enhanced durability. ASICS HG 10mm technology provides you with a slightly raised heel to put your body in the ideal alignment, reducing ankle strain and enhancing your game-time endurance. The flexible nylon outsole of the boot features an injection moulded stud pattern. This delivers an outstanding level of traction and agility on the field. Your stability is assured with a moulded trusstic through the midfoot. 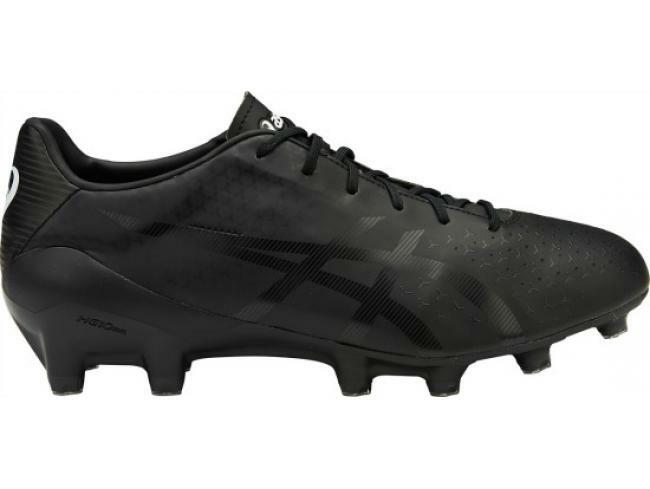 ASICS High Abrasion Resistant rubber ensures that this boot will deliver for years to come.